The phenomenon has been known as ‘catfishing’ for the past few years. It’s when someone creates fake profiles on social media to trick people into thinking they’re somebody else. The term originates from a 2010 documentary about a man in an online relationship with a woman who turned out to be a troubled housewife posing as someone else. Her actual husband compared her behaviour to the use of catfish placed in hauls of cod. The catfish are known to make the cod livelier so that the cod fetches a higher price at market. His wife was doing something similar by “keeping people on their toes” – by stirring-up strangers to be interested in her. Catfishing’s growing threat proves it’s easy to copy people’s online photos and use their personal information. According to the consumer group Which?, more than half of online dating users say they have come across a fake profile. Significantly, the number of people defrauded in the UK by online dating scams reached a record high in 2016 with 3,889 reported victims of so-called ‘romance fraud’ handing over £39m. While there is a new white paper being presented to the UK parliament that wants the law concerning catfishing and other cyber-crimes tightening up, there are already sufficient grounds for a company or individual to get the police involved. As the Criminal Prosecution Service’s guidance on cyber-enabled crime indicates, such cyber deception can be prosecuted. The problem is, can the police find enough firm evidence for the CPS to accept the case? 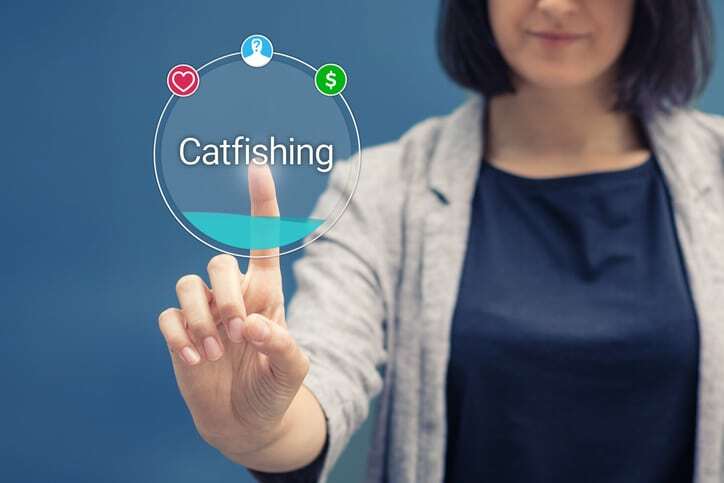 Catfishing could enable criminals to pose as someone in your company to dupe potential customers into giving away commercially-sensitive information. Or, the fraudsters might attribute views and opinions to your colleague which are detrimental to the reputation and overall success of your business. Gary Jowett, from Computer & Network Consultants in Brighton, said: “Creating fake identities and adding life experiences, jobs and friends may seem only a threat to private individuals but it also poses a big threat to companies if they allow employees to access social media at work or the business uses social media for promotional purposes. Social media is useful in many ways, but like all forms of communication it can be abused and it’s up to us to be on our guard at home and at work.